It feels like I haven't posted in forever. 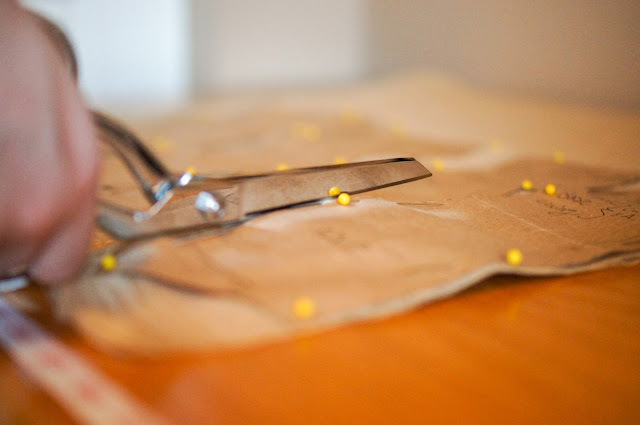 I've had a lot of things going on in my life recently that unfortunately have been keeping me from doing much sewing and I've been procrastinating on writing up blog posts because, frankly, I've just been too tired and lazy to get it done. Last month was Aviation Day and I premiered my 1930's aviatrix outfit. I want to do an official post about it soon, but for now here's a few details. While I'm really with how this looks, most of the pieces are modern clothing items. The helmet and goggles are authentic WWII British, which I found at a local antique store. I made the jodhpurs myself, but the rest is all modern. I plan on replacing these with authentic pieces as I find them, but for now they fit the part. This was a really fun and really comfortable outfit to wear and people responded really well to it. 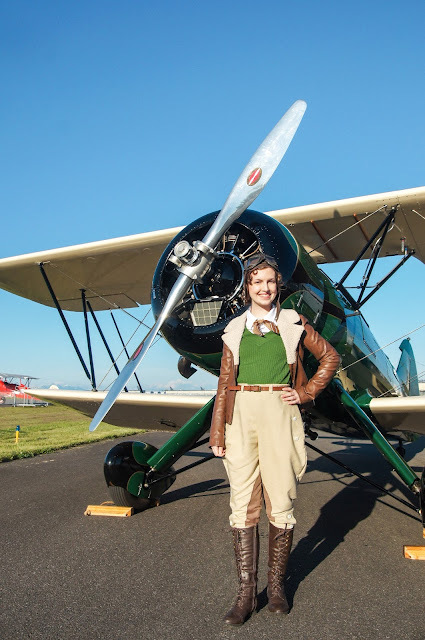 Most people thought I was dressed up as Amelia Earhart, however it's not intended to be anyone in particular but rather to represent all women pilots (known as Aviatrix at the time) from the era. May the Fourth came and went, and I'm still not close to done with P19. I got most of the bodice embroidery done, but I got tired of all the embroidery and had to put it down. It's sitting in my UFO pile, but I want to get back to it soon. I didn't end up having any special Star Wars day party like I usually try to do, but I did celebrate by watching a few of the movies with my siblings. We had a bit of a thunderstorm that night which made it an interesting night. I landed my first Costume Design Internship! I'm interning for the Village Theatre's Summer Stock production of Beauty and the Beast and I'm so excited! I'll be meeting with the cast and crew at the end of this month and production goes through August. Not costume related, but I got my wisdom teeth pulled. I was pretty much incapacitated for 4 days, but I'm back to normal now. Well, that's about it. I'm planning on getting back to my regular blogging routine and should have the last post about the Grey Gown up soon.